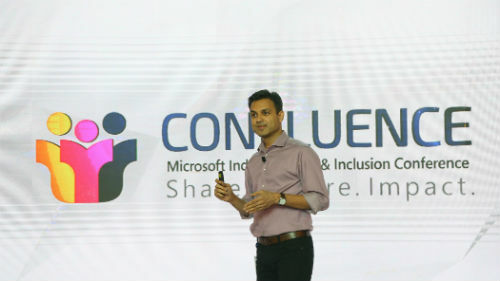 Hyderabad: Today, Microsoft India welcomed 500 plus employees to its 11th annual diversity and inclusion conference, Confluence 2018, at its Hyderabad campus. This signature platform, continually evolving to reflect Microsoft’s inclusive approach, highlighted key aspects of Diversity – gender, generational, abilities and intersectionality with an aim to bring greater focus on inclusiveness at Microsoft. Brave was yet another session on building allies and employees attended the session with a learning buddy to demystify the gender differences.